Srinagar, Sep 10 (KNS): National Conference on Monday strongly refuted fake news on government formation being circulated on social media and has demanded time bound police investigation. “Some videos from 2014 of a Delhi based news channel are being circulated on social media. The intention behind the mischief is to give an impression that NC is going to support BJP led government in J&K. This is far from truth and is being done with a criminal intent of maligning party's image,” said party Chief Spokesperson Aga Syed Ruhullah Mehdi in a statement issued to KNS from party headquarters said. 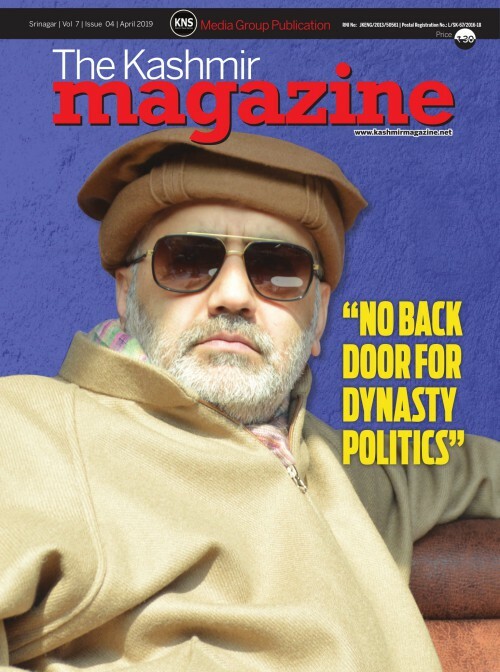 “Party vice president Omar Abdullah has abundantly made it clear that NC is neither in a position nor it intends to form or support any government in the state in present circumstances. Our leadership has time and again reiterated its stand as far as government formation in the state is concerned. Its because of such fraudulent mischief that we had asked for dissolution of the Assembly at the very start when BJP pulled out from the PDP led government,” Ruhullah said. He said that the party and its leadership had time and again made it clear that the priority in State right now needs to be improvement in situation rather than imaginationary permutations and combinations on government formation. “We have already made our intentions clear as far as participating in any democratic process is concerned. Until and unless government of India and the state government clears its stand on Art 35 A and Art 370, we will not participate in any forthcoming elections” he said. Party spokesperson said that currently the party was far from forming or supporting any new government in J&K.